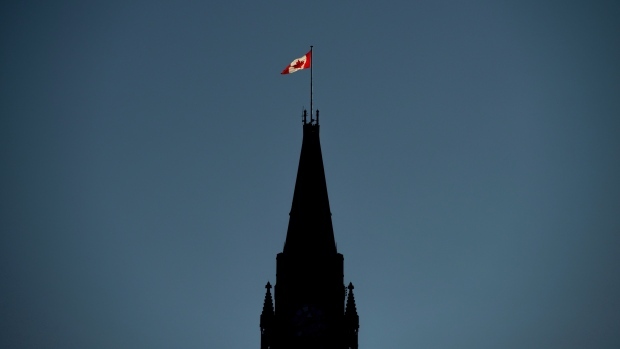 OTTAWA -- A preliminary analysis of the federal books says the government ran a budgetary surplus of $300 million through the first nine months of the fiscal year. The surplus is an improvement compared with the April-to-December period in 2017-18, when Ottawa posted a deficit of $8.9 billion. The Finance Department's latest fiscal monitor says overall revenues were up $19.3 billion, or 8.7 per cent, compared with the same period last year, due in large part to higher revenues from taxes and incoming employment insurance premiums. The report says program expenses were up $8.4 billion, or 3.9 per cent, compared with the same nine-month stretch last year, because of increases in major transfers to individuals, to other levels of government and due to an increase in direct program spending. The fiscal monitor also said public debt charges rose $1.7 billion, or 10.3 per cent, mostly due to the higher effective interest rate on government debt and the higher inflation adjustments. Last November, the Liberals' fall fiscal update predicted the government was on track to run annual shortfalls of $18.1 billion in 2018-19, $19.6 billion in 2019-20 and $18.1 billion in 2020-21.